Landscape and snow removal experts in NJ. Free estimates! Action Property Management has built a reputation on QUALITY service! Action Property Management strives to bring you the best all around landscaping service for a reasonable price. We professionally take care of your property needs from landscaping to snow removal and everything in between. With over 15 years experience, our professionals are licensed to apply any type of lawn fertilizer, treatment or pesticide. 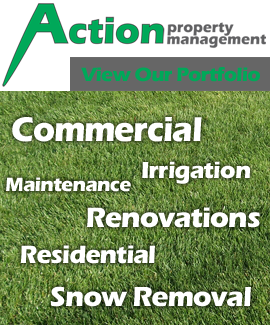 Action Property Management will get your lawn looking better than the nicest lawn on block. We are fully insured and have the best equipment to ensure that you always get an optimal product. You can be confident that when you hire Action Property Management, you are getting an experienced, creative and established company. We will consistently strive to surpass your expectations by providing a friendly, professional experience with the necessary follow-up to ensure the best results. Estimates are always free, and a friendly, reliable crew makes for an enjoyable experience ever. 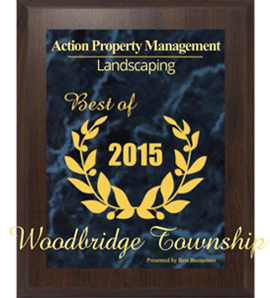 We were voted as the Best Landscaping Company in Woodbridge Township for 2015! A big “Thank You” to all our customer that voted for us. Action Property Management is an equal opportunity employer and is licensed and insured to perform the mentioned services listed on this website. Thank you for selecting us as the Best Landscaping Company in Woodbridge Township for 2015! Join to receive updates and schedule changes from us. Click below to go to our Contact Us page now. © 2019 Action Ventures LLC. All rights reserved. Site by 43DPI Creative.